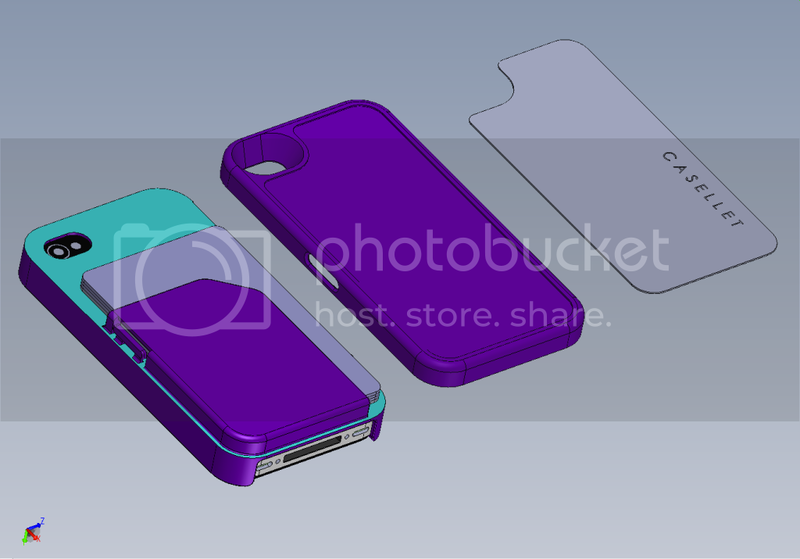 A sleek & amazinly convenient case for your iphone4/4S. Whether it's school, work or a night out, CASELLET is perfect for everyone. 164 backers pledged $22,632 to help bring this project to life. •Card Slot - Many local backers felt the cover made it difficult to access the rear cards. 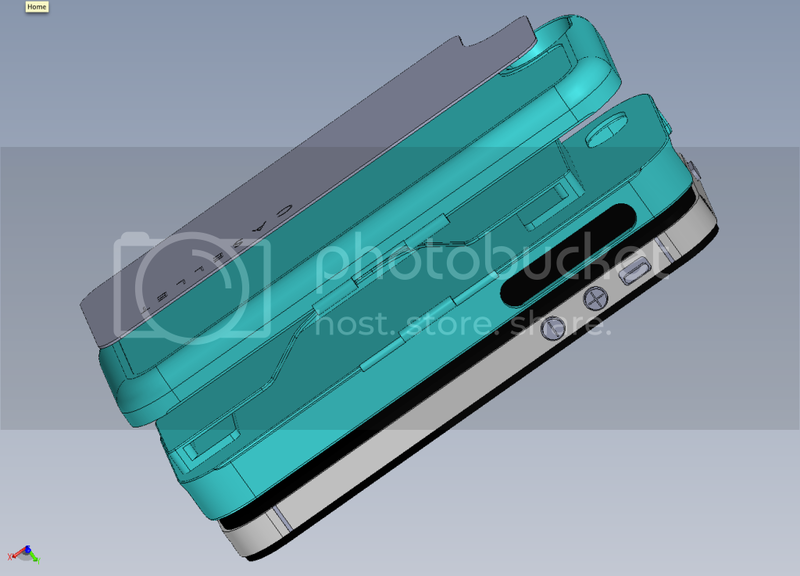 The CASELLET team has re-designed the card slot so cards can be vertically inserted now. We also removed the DESIGNATED cash slot so now CASELLET can hold 3 Cards & cash like before, or 4 cards. This increases the versatility of the case for those of you that need to carry more cards. • Front Glass Protection - The side barriers of the case has been extended to protrude the front screen. The front glass now stands a good chance from accidental drops. •Release Button - Backers with bigger fingers, along with myself had trouble quickly opening CASELLET since the release button was small. It has been enlarged horizontally for easy, one hand access. •Backing - Backers & the CASELLET team felt the 304 Stainless Steel backing was an overkill and was too heavy. We're now in the process of sourcing 28 gauge Anodized Brushed Aluminum backplates. That's it for now! We're confident that all of these changes will satisfy everyone, but please leave a comment and let us know what you think! Thanks again to all my backers and let's get CASELLET funded! 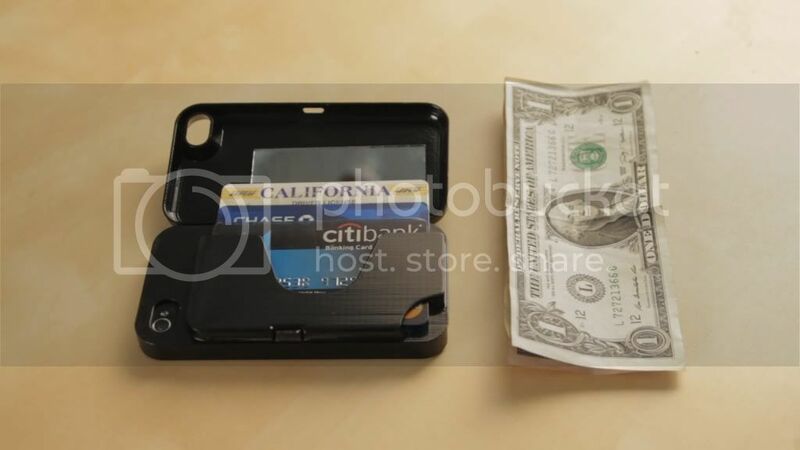 CASELLET, simply put, is an iphone4/S case that doubles as a wallet. It has been designed to store enough items to eliminate the necessity of a wallet on a day to day basis. Unlike most phone case wallets, CASELLET can carry cash just as easily as it carries cards and it conceals all your items. 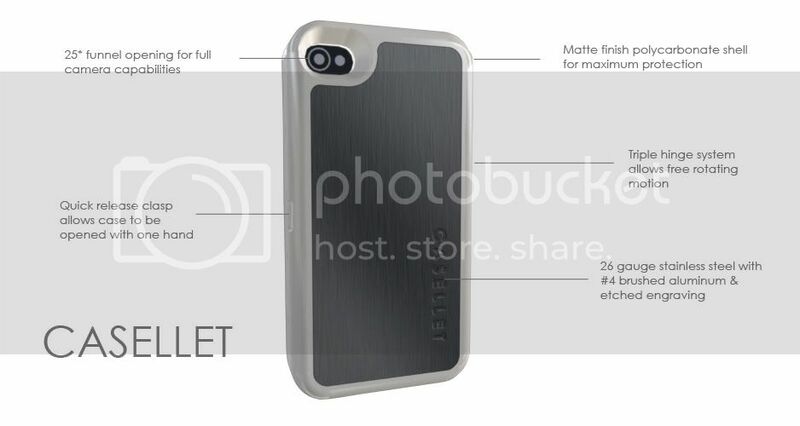 With a polycarbonate shell, brushed stainless steel or wood back, and only adding 8mm of thickness, CASELLET truly is -- The Ultimate iPhone4/S Case Wallet--. The Case: CASELLET is based off the popular thin profile case. The thin case provides maximum back, side and corner protection while leaving ample room for chargers or off-size headphone jacks. Open Face: We all use our phones to text/call/email much more frequently than we use our wallet so we knew we didn’t want a flap or enclosure blocking the screen! Cash Slot: This was a challenging task. 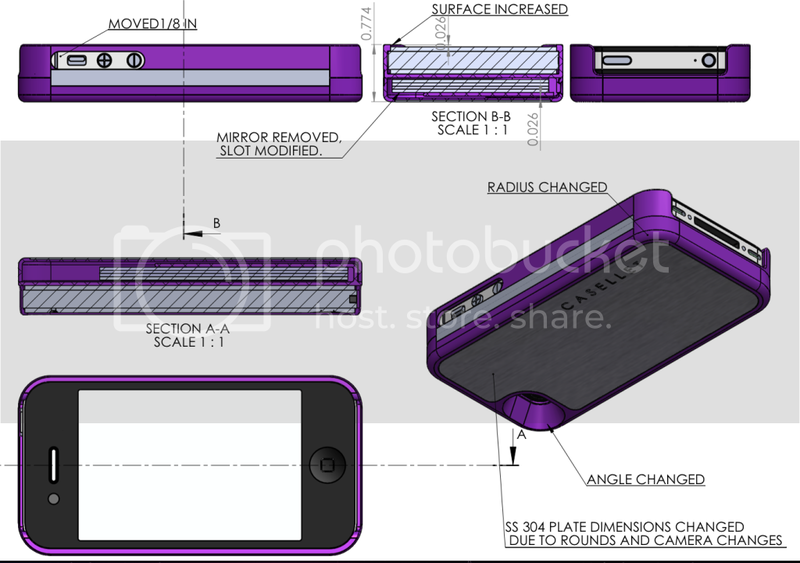 If you line up a bill sideways to the iphone4/4S, you’ll see that the width of a bill is wider than the phone itself. Because of this, the CASELLET team has created a way to carry cash without having to manually fold bills into thirds or fourths. You simply fold the bill in half, insert it in the designated slot and closing the case will automatically fold the bills again. CASELLET can store anywhere from 6 bills to 12 bills depending on cards carried. Card Holder: Almost every person that we surveyed agreed that having an ID card, credit card, and banking card would be perfect for daily use. CASELLET has a 3 card holder to fulfill this requirement while staying incredibly thin. The Design: CASELLET has been through 4 design revisions, and we believe we finally got it. Every single piece was designed to ensure that CASELLET would be a top tier product. Whether it be the quick release clasp, the funneling opening, or triple hinge system, no detail was overlooked. The Prototype: As seen in the video, CASELLET has a finished and functional prototype. Although the prototype does a great job of portraying the features fo CASELLET, please note that the prototype is made out of ABS plastic so it's rough around the edges and contain uniform groves on flat areas. This is in no way part of the design. The finished polycarbonate material will be 100% smooth with a matte finish as seen in the product renders and have 4 times the structural integrity compared to the prototype. So this is where you come in! In order for CASELLET to become a reality, we will need your help. Any dollar pledged would be greatly appreciated. Nevertheless, if you pledge $40 or more, you will be essentially pre-ordering and reserving one or more CASELLET's from the first batch of production! If the goal is met, our target ship date is mid January. If you're purchasing CASELLET as a holiday gift, we will ship out postcards so you can let your friends and family know their gift is on the way! We’re not just another phone case, the product tells a story and we want direct feedback from the Kickstarter backers and our future revisions will be tailored to your input. We want the contributors to be part of the final product and all backers will forever hold a place on the "Kickstarter Backer Wall" on our website. Even if you can't back the project, please spread the word and introduce CASELLET to anybody that has an iPhone4/4S, or even if they don't! We hope that you are as excited as we are about CASELLET and choose to support our project. Lastly, our website will be constantly updated throughout the kickstarter campaign, so please check back often. Every dollar will help CASELLET become a reality and a pledge of any amount is greatly appreciated. A pledge of $1 or more will get your name mentioned on our Kickstarter backer wall on www.CASELLET.com, and an email brochure if and when CASELLET is on the market. Receive ONE CASELLET with a stainless steel back at a great price (retail will be 60 + tax and shipping) in any color and get your name on our permanent Kickstarter backer wall. Shipping is included (please add $10 to Canada order & $15 for international). Receive ONE CASELLET with a wooden back at a great price (retail will be 65 + tax and shipping) in any color and get your name on our permanent Kickstarter backer wall. Shipping is included (please add $10 to Canada order & $15 for international). Receive TWO CASELLET’s in your choice of colors with a wooden or stainless steel back and get your name on our permanent Kickstarter backer wall. Shipping is included (please add $10 to Canada order & $15 for international). Please add $40 to any additional CASELLET's desired. Pledge $100 or More and receive one CASELLET in any color with your initials and a serial number (001 – 100) engraved on the stainless steel backing and one regular stainless steel backing CASELLET. A PHOTO of you, your name, and your serial number will be posted on our permanent Kickstarter backer wall. Shipping is included (please add $10 to Canada order & $15 for international). Pledge $120 or more and receive one CASELLET in any color with your initials and a serial number (001 - 100) laser-burned on a limited edition wood backing. A photo of you, your name, and your serial number will be posted on our permanent Kickstarter backer wall. Shipping is included (please add $10 to Canada order & $15 for international). Receive 10 CASELLETS in any color or backing. We will also send you 10 CASELLET holiday cards so they know their gift is on the way!